Pathogenic bacteria are becoming increasingly antibiotic-resistant due to misuse, overuse and abuse. In addition, infections caused by some harmful strains of bacteria, particularly gram-negative bacteria, cannot easily be treated with antibiotics or other common forms of treatment. Our intention is to engineer cells which can both produce an antimicrobial peptide and recognize the communication signals of such bacteria, using Pseudomonas aeruginosa as a model. 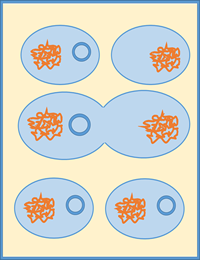 Two plasmids, one which controls the production of our antimicrobial peptide melittin and the other which acts as the cell-signal receiver, will be inserted in nonpathogenic E. coli cells. This allows our E. coli to recognize the cells of Pseudomonas aeruginosa, and release a bacteria-killing compound in response. 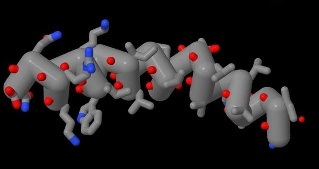 Bacteria are constantly rebuilding their cell walls through peptidoglycan synthesis. Penicillin works by deactivating transpeptidase within the bacteria, preventing the cross-linking of peptidoglycan and weakening the cell wall, eventually causing lysis due to osmotic pressure. Bacteria can develop resistance to penicillin by producing β-lactamase, which breaks the beta-lactam ring in penicillin, deactivating it. these antibiotics, prevent the antibiotic from entering the cell, or use efflux pumps in the cell membrane to transport the antibiotic back outside the cell. When antibiotics are used to kill off harmful bacteria, the resistant strain of bacteria remains and reproduces. With other strains gone, this resistant strain has less competition, allowing it to thrive. Horizontal gene transfer: DNA for antibiotic resistance is transfered through conjugation. In its 2014 report on antibiotic resistance, the World Health Organization reported the current status of antibiotic resistance in seven major bacteria which cause disease in humans, including Escherichia coli, Klebsiella pneumonia, Staphylococcus aureus, and Streptococcus pneumoniae. These bacteria are common causes of infections within a hospital or community. If they become highly resistant to antibiotics, there would be significant repercussions for public health worldwide. Antibiotic resistance is a global concern—it jeopardizes our ability to treat common infections, causing standard treatments to be replaced by more expensive drug therapies, making infectious diseases longer to treat and easier to spread, putting major surgeries, chemotherapy and organ transplants at a greater risk of being unsuccessful, and increasing death rate. MRSA, or methicillin-resistant Staphycoccus aureus, and drug-resistant Staphococcus aureus have already been categorized as “serious threats” by the CDC. The increasing resistance of these bacteria to the latest generation of antibiotics eventually requires broader spectrum- drugs which have higher costs, higher risks and worse side effects to patients due to a more toxic treatment. The growth of antibiotic resistance in pathogenic bacteria renders one of our most powerful tools against disease useless—making it imperative to develop new courses of treatment. Fleming, Alexander. "Nobel Lecture: Penicillin." Speech, Nobel Prize Award Ceremony from Nobel Foundation, Stockholm, December 11, 1945. World Health Organization. Antimicrobial Resistance: Global Report on Surveillance 2014. S.l. : World Health Organization, 2014. Levy, Stuart B, and Bonnie Marshall. 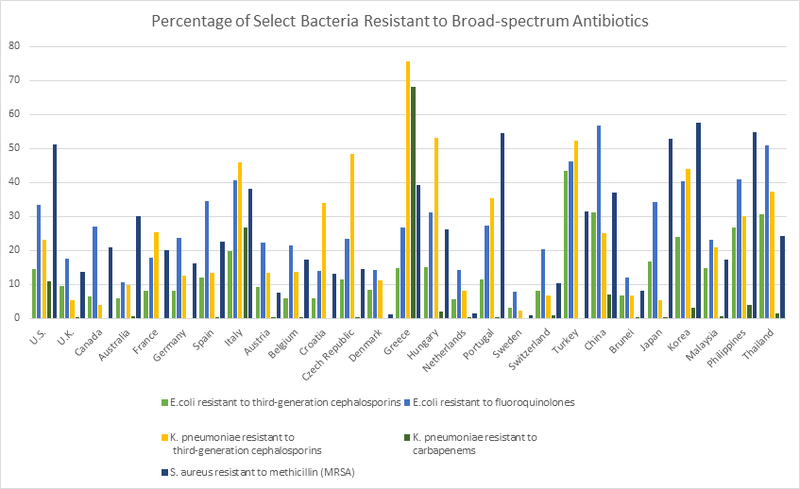 "Antibacterial Resistance Worldwide: Causes, Challenges And Responses." Nature Medicine 10, no. 12s (2004): S122-S129. Schultz L, Lowe TJ, Srinivasan A, Neilson D, Pugliese G. “Economic Impact of Redundant Antimicrobial Therapy in US Hospitals.” Infection Control and Hospital Epidemiliogy 35: 1229-1235.
. Rosenblatt-Farrell N. “The Landscape of Antibiotic Resistance.” Environ Health Perspect. 117(6): A244-A250. Centers for Disease Control and Prevention. Antibiotic resistance threats in the United States, 2013. S.l. : Centers for Disease Control and Prevention, 2013. 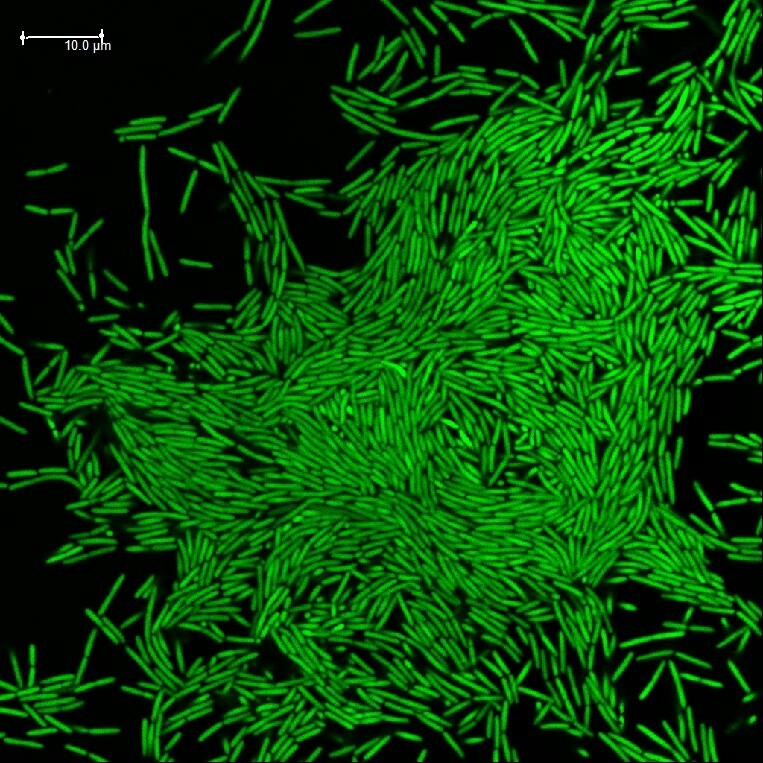 Biofilm formation of P. aeruginosa ( Source ). Serious P. aeruginosa infections can cause meningitis, pneumonia, and sepsis. The CDC estimates that 51,000 healthcare-associated infections in the US are caused by P. aeruginosa, 13% of which are multidrug resistant and which the CDC considers a serious threat. In addition, 30% of healthcare-related P. aeruginosa infections are resistant to fluoroquinolones, a broad-spectrum antibiotic. The resistance of P. aeruginosa can therefore become deadly for immunocompromised patients, leading to higher mortality rates for affected patients. The virulence of P. aeruginosa bacteria is in part controlled by their ability to sense each other by producing and recognizing specific compounds called N-acyl homoserine lactones (AHLs), thus allowing them to communicate with each other. This ability to communicate intercellularly, called quorum-sensing, is used by many bacteria to control population growth through gene activation. 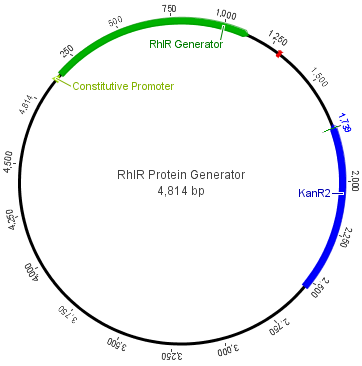 As the autoinducer rhli is produced, it forms a complex with C4HSL, which then in turn activates the production of regulatory protein rhlr, which then regulates other genes. By inserting the genes for the rhl sensing system, non-pathogenic i.e. harmless E. coli can be induced to sense P. aeruginosa signals and act in response to them. 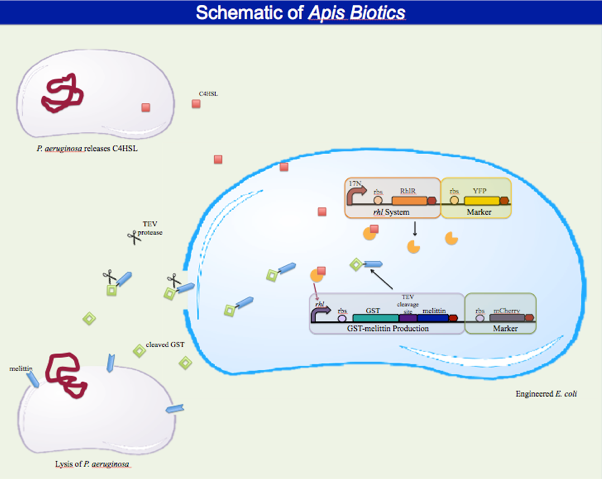 If a bacteria-killing compound could be produced upon receiving C4HSL or 3-oxo-C6HSL signals, our project could take advantage of naturally-occurring pathogenic bacterial cell communication in order to kill them off. Since C4-HSL diffuses more quickly, we decided to use the rhl system used by P.aeruginosa as a means of identifying our target bacteria. 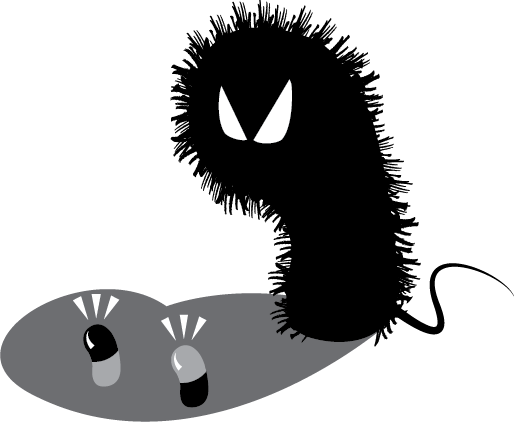 By exploiting the rhl system in P.aeruginosa, we could target them with an antibiotic-like compound, thus killing our bacteria. Our next step was to look into our bacteria-killing compound: melittin, a honeybee venom compound. Bodey GP, Bolivar R, Fainstein V, Jadeja L. 1983. Infections caused by Pseudomonas aeruginosa. Rev Infect Dis. 5:279-313. "Pseudomonas aeruginosa in Healthcare Settings." Centers for Disease Control and Prevention. Centers for Disease Control and Prevention, 7 May 2014. Web. 3 June 2014. Septimus EJ, Kuper KM. 2009. Clinical challenges in addressing resistance to antimicrobial drugs in the twenty-first century. Clin Pharmacol Ther. 86(3): 336-339. Honeybees, or Apis mellifera, are native to Europe, Africa, and western Asia. The introduction of Apis mellifera to other parts of the world began in the 17th century and since then, honeybees can be found around the world. Currently, there are 26 recognized subspecies of Apis mellifera based on morphology and molecular differences, as well as the differences in their habitat.While male bee drones do not have stingers, female bees have a stinger, which acts as a form of defense against predation. 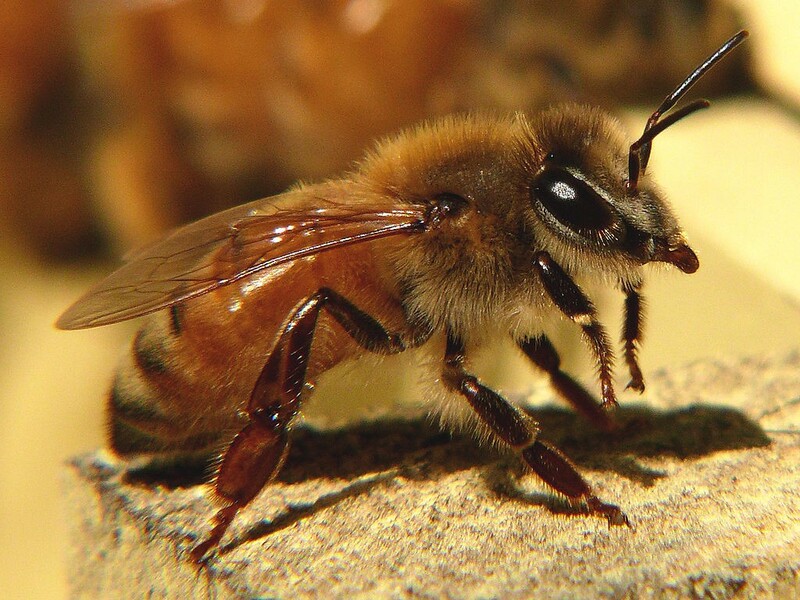 It is connected to a sac that releases a venom when the bee stings another organism. Bee venom has been researched for its ability to treat inflammation, infections, and auto-immune diseases. The active portion of the venom causes inflammation and acts as an anticoagulant. The primary active component of bee venom is melittin, which constitutes about 52% of the apitoxin, or bee venom, liquid excreted from the bee. An antimicrobial peptide, melittin is a part of the host defense system and immune response of honeybees. Previous research has shown it to be effective with some modifications in both treating cancerous cells and HIV. Melittin is not produced in bees in its active form. Rather, it is produced in an inactivated form called prepromelittin, which contains the right sequences to send it to the endoplasmic reticulum in bee cells as well as deactivating it. Sequence prepromelittin Naturally, bees produce prepromelittin in their venom gland, which gets degraded by surrounding enzymes. 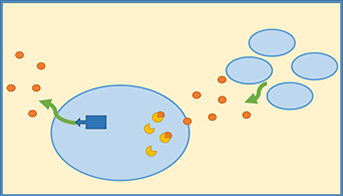 As the prepromelittin is processed in the honeybee cell, the “pre” part of the peptide, which acts as a signal peptide, is cleaved off by signal peptidase enzymes. The “pro” sequence, which acts as a protective sequence which inactivates melittin, is slowly cleaved off stepwise by surrounding dipeptidase enzymes as well, allowing the melittin to become liberated. Sequence of prepromelittin, where green indicates "pre" sequence, red indicated "pro" sequence, and blue indicates the melittin sequence. Melittin is a small ampipathic peptide made up of 26 amino acids, with a hydrophobic N-terminus and a hydrophilic C-terminus.As melittin concentration in the membrane accumulates, transient pores are formed which allow the permeability of ions. As the concentration of melittin increases further, pores are stabilized and thus become large enough to allow the movement of large molecules outside the cell, and at even higher concentrations, the membrane will disintegrate entirely. 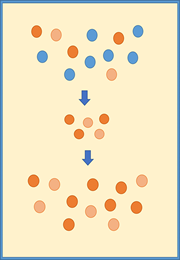 Effectively, the melittin compound will cause cells to lyse either due to osmotic pressure around the cell, or through a detergent-effect at high enough concentrations. Its activity as a cytolytic compound is due to its surface activity. At low concentrations, it adopts an inactive parallel orientation to the cell membrane, and at higher concentrations it adopts a perpendicular orientation to the membrane, which allows it to “wedge” itself in the headgroup space of phospholipids in a phospholipid bilayer, without extending all the way to the center of the bilayer. As a result, the bilayer distorts and curves to fill in the space left by the “wedge”, forming transient pores through the resulting area imbalance between the inner and outer part of the membrane. Through the transient pores, melittin molecules redistribute, eventually forming larger stable pores made up of 4-7 melittin monomers each. Since the majority of antibiotics target parts of bacteria which have mutated to develop resistance, the most effective alternative to antibiotics would work against conserved parts of the bacteria, which cannot mutate easily without compromising its ability to thrive. An example of such an area would be the outermost part of the bacteria, the cell membrane. Melittin can work against pathogenic bacteria by targeting their cell membrane. Thus, melittin can be utilized against pathogenic bacteria as an alternative to antibiotics, as well as a solution to the increasing resistance of bacteria against antibiotics. Meier J, White J. (1995). Clinical toxicology of animal venoms and poisons. CRC Press, Inc. ISBN 0-8493-4489-1. In order to prevent melittin from either attacking our own cells or from congregating into inactive tetramers, melittin itself cannot be produced within our E.coli cells. However, if we were to produce the naturally-occurring form of prepromelittin, we would also need to recreate the enzymes within the bee. Reproducing these enzymes in an E. coli cell can quickly become complicated, therefore our project uses the GST tag to inactivate melittin, creating a fusion protein. This tag also allows for easy identification by through gel electrophoresis, allowing us to also see if the melittin was produced. 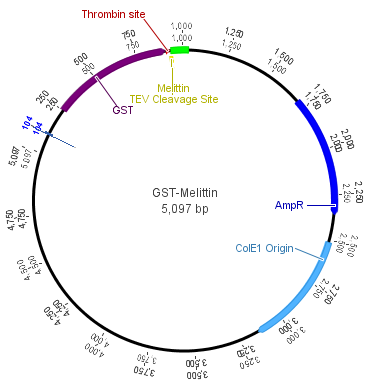 A TEV protease site sits in between the GST tag and melittin, allowing for easy cleavage of the GST tag and activation of melittin upon the addition of the TEV protease. We designed a biosensor which could detect the quorum sensing signals of P. aeruginosa. This biosensor would constitutively produce the RhlR regulatory protein in order to bind with C4HSL molecules, which then would activate the fluorescence marker mCherry. By responding to C4HSL molecules in the environment, our biosensor could then activate the production of our antibacterial compound, melittin. This form of mechanism allows for a more fine-tuned production of melittin, and acts as a preliminary check for biosafety and the efficiency of our circuit. In our complete circuit, our E. coli would constitutively produce RhlR proteins, which then could bind with any C4HSL signal molecules in the environment released by P. aeruginosa. Then, this would activate the rhl promoter, starting the production of GST-melittin. We then would exogenously add in TEV protease, in order to cleave off the GST protein and allow the melittin to work against our target bacteria. Both the RhlR and GST-melittin have fluorescence markers, to allow us to easily monitor the progress of the mechanism. In addition, the use of non-specific melittin also acts as a "kill switch", as our E.coli would eventually succumb to the pores created by melittin.